Lizzie Fortunato and Decade Diary have done it again. First they created this lip print clutch (one of my favs! 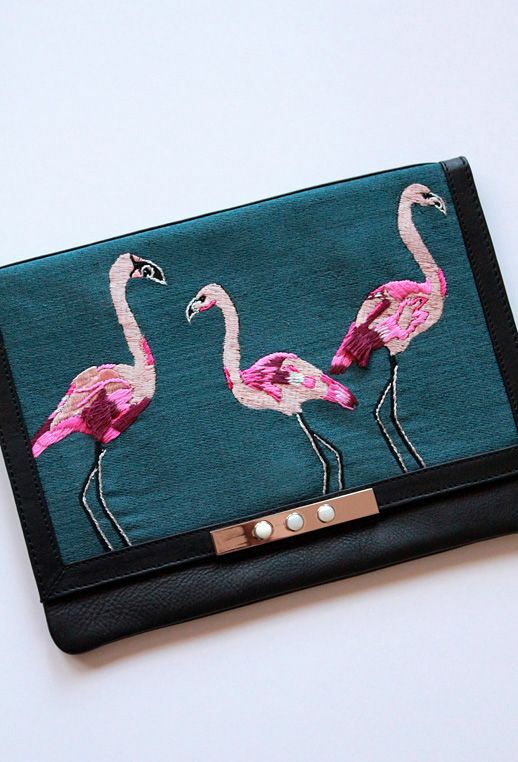 ), and now this gorgeous embroidered flamingo clutch. It's quirky, cute and beautifully crafted. Make sure to also check out their safari clutch with a single flamingo. Fingers crossed they collaborate again- I just can't get enough! The other beauty here is the Darby bracelet. 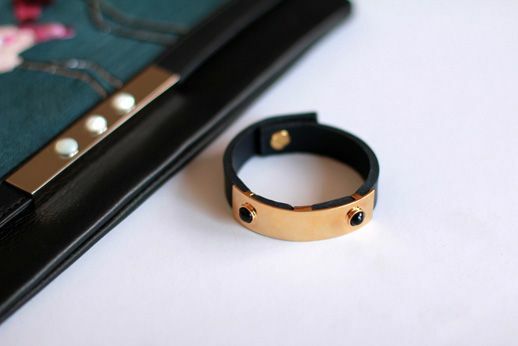 The leather strap and gold plate embellished with onyx studs make it such a clean and chic statement piece. 0 Response to "TWO THINGS: LIZZIE FORTUNATO FLAMINGO CLUTCH + ONYX STUD BRACELET"